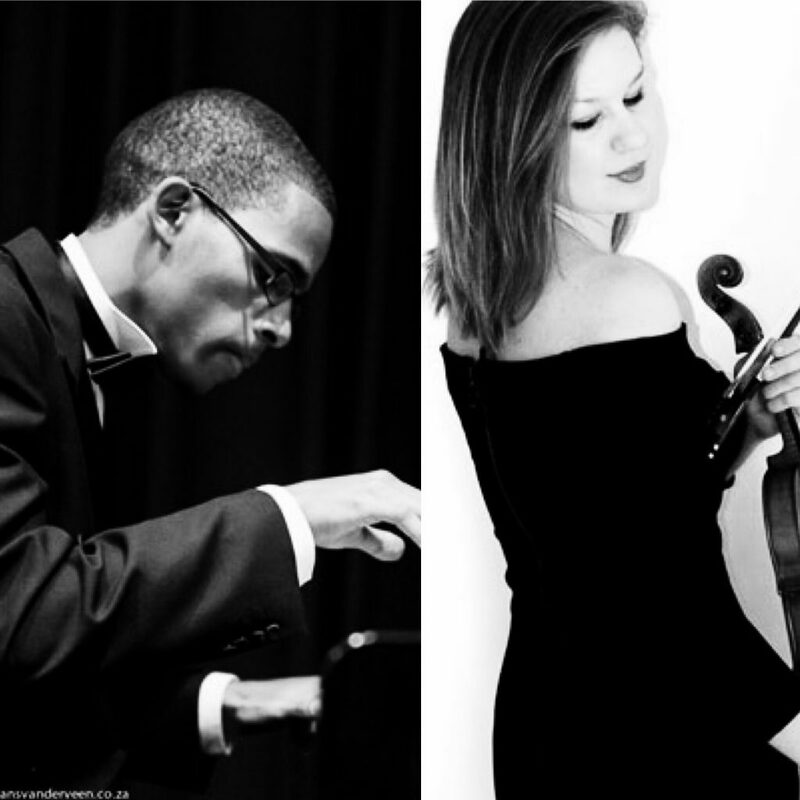 The Endler Concert Series is proud to present young up and coming South African artists Jacqueline Martens (violin) and Sulayman Human (piano) on Tuesday 18 April at 20h00 in the Endler Hall. Jacqueline Martens was born in South Africa and after moving to the UK began playing the violin at the age of five. Jacqui is currently a fourth year undergraduate scholar at the Royal College of Music, London and will continue to study her Masters in 2018. She is leader of the London Firebird Orchestra, and as a young professional in the highly competetive London music scene, already enjoys adhoc engagements with the London Philharmonic Orchestra, the Birmingham Philharmonic Orchestra as well as the European Union Youth Orchestra. Sulayman Human started piano at the age of 12. In 2010 he was not only the youngest winner of the Lionel Bowman Beethoven Bursary Competition, hosted by Stellenbosch University, but the first and only person, to this day, to have won it whilst still in secondary school. He has gone on to win several competitions, namely Hennie Joubert National Piano Competition, Artscape National Youth Music Competition, Atterbury National Piano Competition and SACS Music competition. He was a semi-finalist at the 2015 Unisa National Piano Competition. Over the years Sulayman has been a finalist of the ATKV Muziq competition, and was placed third in 2016. In 2016 he received second prize at the Olive Lieberz National Piano Competition. Sulayman is currently enrolled for a Master of Music (Solo Performance) degree at Stellenbosch University. Jacqui and Sulayman will be performing a varied and challenging programme, including Strauss’s Sonata for violin and piano in E flat major, op.18; Beethoven’s Sonata no.1 in D major, op.12; Mozart’s Adagio in E major, K.261 as well as Massenet’s much loved Meditation from Thaïs and Saint-Saens’ Introduction and Rondo Capriccioso. Tickets for R120 (regular) and R80 (students and pensioners) are available now through Computicket and at the door.